Bella is one the quaint, relaxed vineyards that really makes you appreciate why you're in Wine Country - to enjoy your time! It's a peaceful place with rolling hills, a large outdoor space and large, mature trees. You may start your tasting in their main barn or be directed right into the cave. They always have ample signage, so just scope it out when you arrive. The cave under their Lily Hill Vineyard is where they store and age their wines, and its also the location of most of their tastings! The cave is really dreamy and features a lot of soft light, dried flowers and large tables. On at least one visit to Bella, we’ve had the opportunity to go through the whole cave during a tasting, but typically the public tasting is at the bar. 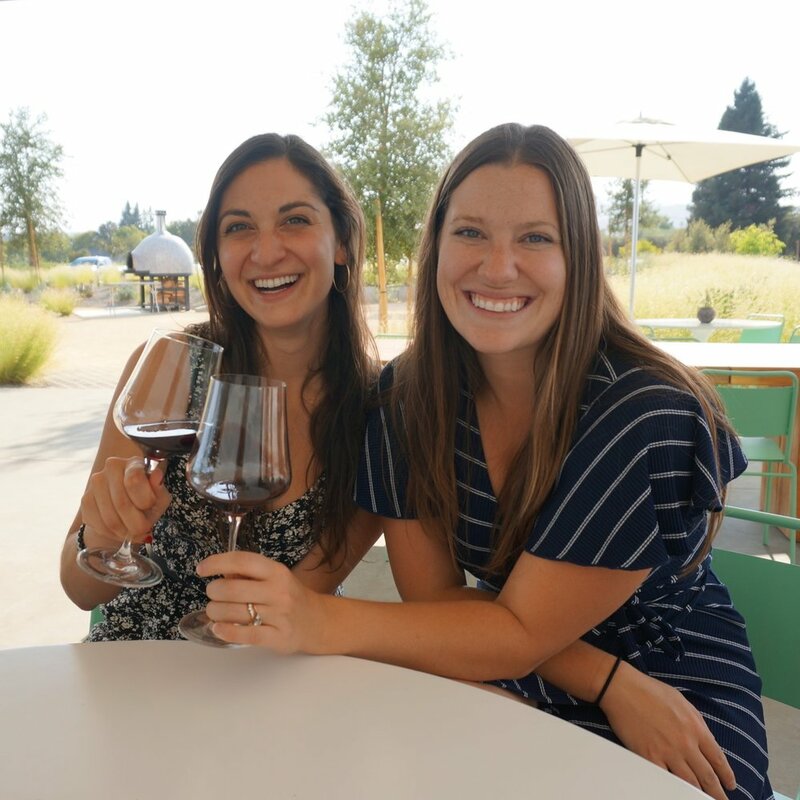 Bella is mainly focused on estate Zinfindels (which is primarily what the Dry Creek region is known for), but tastings are typically well rounded with other red and white wines. Tastings usually finish with their fabulous desert wine (a late harvest Zin) and a piece of peanut butter chocolate! After a tasting (or instead of! ), Bella is lovely place to grab a bottle and picnic on the lawn, they have ample seating and lawn games. We’ve even saw them transporting their grapes from the field into a vat to be crushed! It's fun to watch the process and is a good reminder of how much work goes into smaller wineries. Bella is a wonderful option for people who like the smaller winery feel. It is a bit of a drive from San Francisco, but there are several other wineries super close by and it can be really nice to escape the typical hustle and bustle of Wine Country. We have also known friends to rent a house nearby and ride bikes around this area - another great option when you have a full weekend to explore! Hot Tip: The chocolates are from Trader Joe's if you need to satisfy a craving afterwords. No groups over 8 people.